Have you been to our pharmacy? We hope you had a great shopping experience. If you want to tell your friends about us, feel free to send your referrals. Thank you for choosing Greencare Pharmacy! Getting your prescriptions filled is a breeze! Go ahead and place your order online. Make Greencare Pharmacy your new and only pharmacy. Transfer your Rx to us! Wouldn’t it be great if there was a drugstore you could go to without long queues that force you to wait a long time? 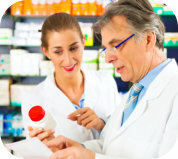 How about a pharmacy with friendly staff, affordable products, and medical supplies? If you can’t find time to drop by or pick up your prescriptions, it would be such a convenience to have them delivered to your home instead, right? Fortunately, all these great benefits are things you can find at Greencare Pharmacy. We are locally established independent pharmacy. What makes us different from other drugstores? We are privately operated which means we run our pharmacy independently. Unlike large chain pharmacies, we don’t treat you like another statistic. Here, you’re treated like family! We have greater control over the quality of customer care that we provide. We can set low prices for our products and services, too. We’re excited to serve you soon! Please visit Greencare Pharmacy when you get the chance. If you have inquiries, please call 972-780-5999 and our friendly staff will answer your questions.